...and a little bit rock-and-roll! Get an exclusive look at the strongest, most advanced Silverado ever. Register at the 2019 Silverado 1500 Launch Party for fantastic prizes. Start by visiting John L. Sullivan Chevrolet for this special event, and register during the party. Visit John L. Sullivan Chevrolet during the event for complete contest rules. 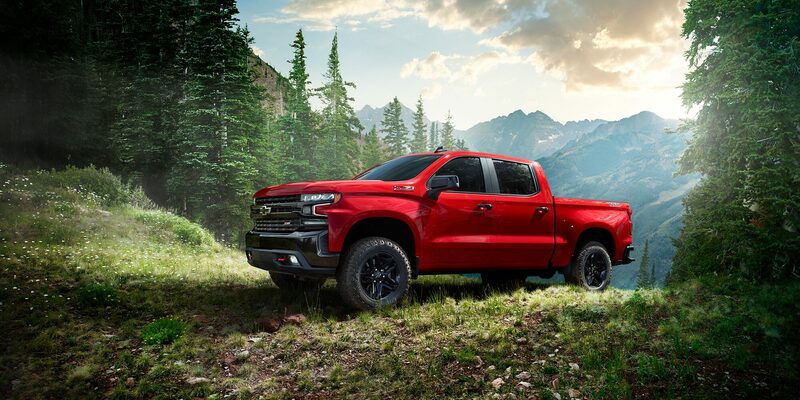 All attendees of the 2019 Silverado launch party at John L. Sullivan Chevrolet will be offered exclusive dealer discounts on new Silverado pickups in stock. Choose yours from the largest Chevrolet inventory in Northern California. Traeger pellet grills pack big hardwood flavor, from sweet cherry, to savory mesquite, into everything you grill, smoke, bake, roast, braise, & BBQ. Traeger's wood pellets are made with 100% pure, natural hardwood giving you authentic flavor and nothing else. Grilling has never been easier-just set it and forget it and let the Traeger work its wood-fired magic. Be completely prepared for adventure with your Silverado 1500. YETI coolers combine versatility with durability. This premium cooler is infused with that legendary YETI toughness - a durable rotomolded construction and up to two inches of PermaFrost™ Insulation. Which is to say it's built to last and will keep your contents ice-cold even in sweltering conditions, like a triple-digit summer day. No bowing, cracking, or melting here. Enjoy vivid scenes with a new HD Television. Enhance your viewing experience with modern technology, easy connectivity, lifelike color representation and smooth motion. Compliments of John L. Sullivan Chevrolet. Visit John L. Sullivan Chevrolet during the event for complete contest rules. Prizes are subject to substitution, and images are generally representative. Contact John L. Sullivan Chevrolet for details. A hardworking general contractor like Armen needs a truck that can handle everything from grabbing supplies for his crew to catching waves with his son. 12 standard tie-downs (3 welded into each corner of the cargo box) rated at 500 lbs. per corner. We took the hardest-working part of the truck and redesigned it to be lighter, larger and stronger. Durabed combines high-strength roll-formed steel, more cargo volume than any other truck and 12 standard tie-downs - three times more than any non-GM competitor - with innovative features like an available industry-first power-up/-down tailgate to offer the most functional bed of any half-ton full-size pickups. A truck that can easily handle tough terrain is an essential tool of the trade for a mountain rescue volunteer like Jeremiah. To keep her stable running smoothly, rancher Greta knows that a hardworking truck isn't just a need - it's a must. Horsepower and torque are important, but when it comes to towing, power isn't everything. That's why Silverado offers advanced trailering technology to help you stay confident and in control. Vintage upcycler Dawn loves how her truck helps her feel independent and safe while she hunts for antiques in the city. Rest assured, this capable truck offers available safety technologies to help you stay confident on the road.